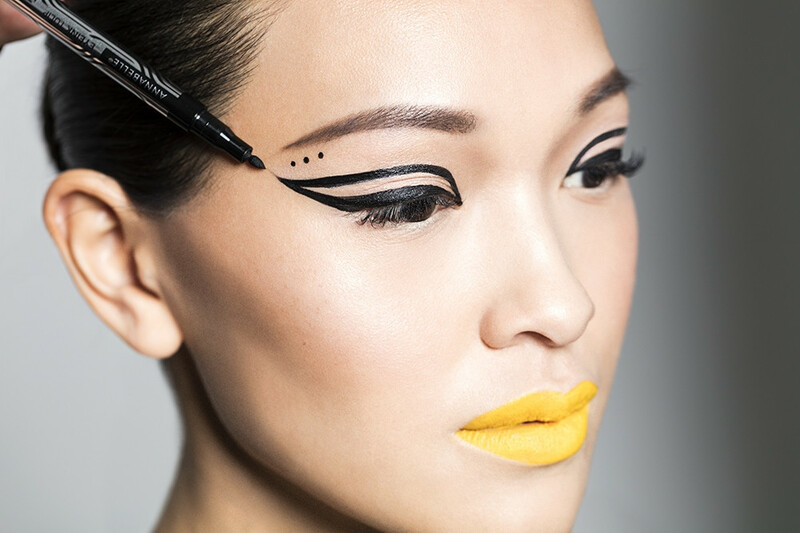 Start off with a bold easy shape and make the shape thicker by adding more layers of eyeliner. 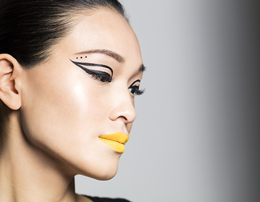 Create a geometric space, in the shape of a triangle in the middle of the eye to take your look to the next level. Hold the brush horizontally across the lashes and pull up through the lashes in a zig-zag action, nestling the brush first in the lash line. 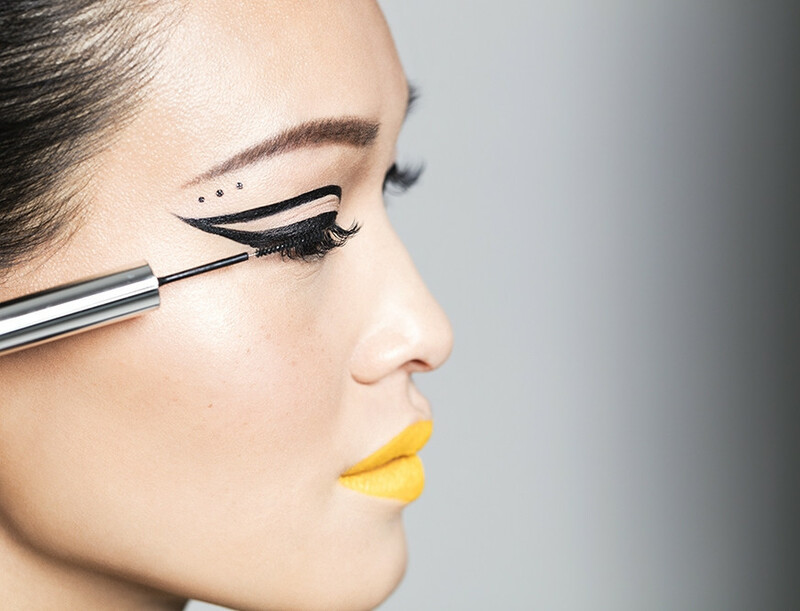 Apply a layer of mascara on the lower lashes for a complete look.